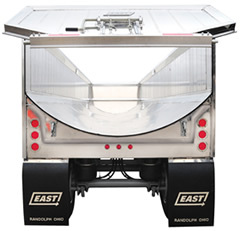 The East Genesis® Hybrid dump trailer combines square-box trailer strength with a round bottom shape to provide the advantages of both kinds of trailers. With 2+ years greater capacity than a traditional half-round trailer, the Hybrid gives you greater payload capacity. Its center-of-gravity is 7+ inches lower than a traditional half-round for greater dump stability and twist resistance, better cornering and overall operational peace of mind. In addition, a stronger, more rigid body resists body twisting and improves repairability. This Genesis Hybrid® design gives the trailer greater twist-resisting structural rigidity, a lower center of gravity and a greater payload capacity comparable to a half-round trailer. Total weight in the 9,500- to 10,000-pound range, depending on options. 2+ yards greater capacity than a traditional half-round trailer, giving you even greater payload. Improved reparability because flat surfaces are easier and less expensive to repair. The Genesis hybrid frameless trailer incorporates proven Genesis flat-panel technology for the top portion of the trailer sides with a new round-bottom for the floor section. 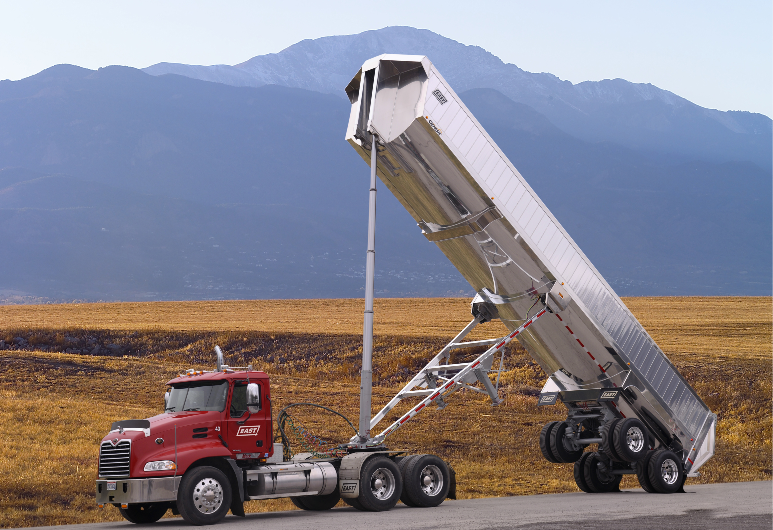 The result is a revolutionary, striking new look for dump trailers.